Office Area: 24,874 Sq. Ft.
Unit #32 was Initially developed into office space for two major corporations. 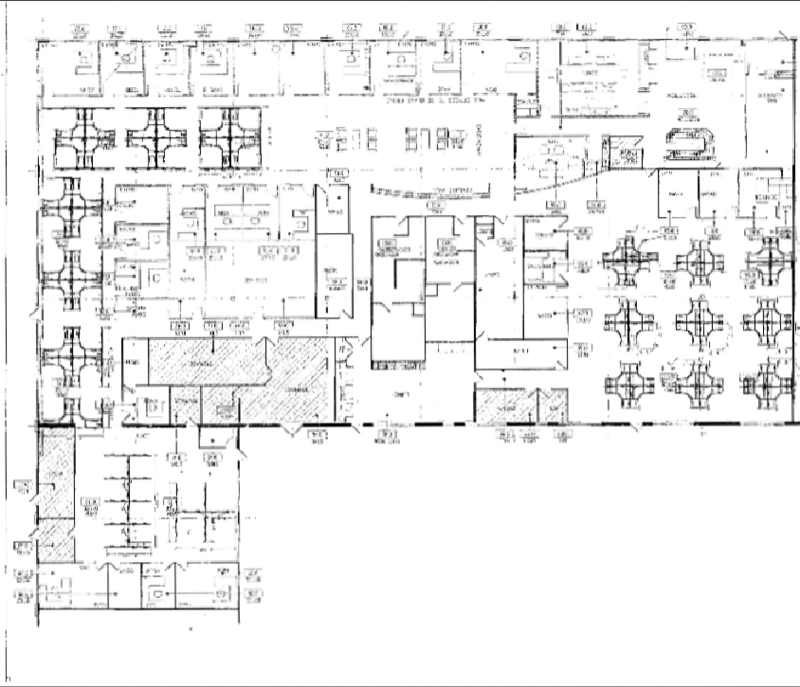 This Flex Space has perimeter and interior offices, reception, receiving area, conference rooms, lunch room, storage/file rooms, locker/washrooms, open areas and mechanical rooms. The contiguous Unit #52 is currently occupied by the Landlord and is available as part of a transaction involving all or part of Unit #32.